Even though slightly smaller than its big Monstercombi brother, the high-quality Djokovic 9R Supercombi will put an end to your space problems. Its two main compartments as well as two inside and one outside pocket offer enough room for everything you need while battling it out on the court. An extra shoe sack will ensure that your shoes are safely tucked away while the climate control technology CCT+ in one of the compartments protects your stuff from high temperatures. Put it over your shoulder or onto your back and enjoy that no other than Novak Djokovic and his speedy style inspired the design story that can also be found on his SPEED racquet. And just like the 12R Monstercombi, this one also features Novak's logo, which adds another special design element to this special bag. 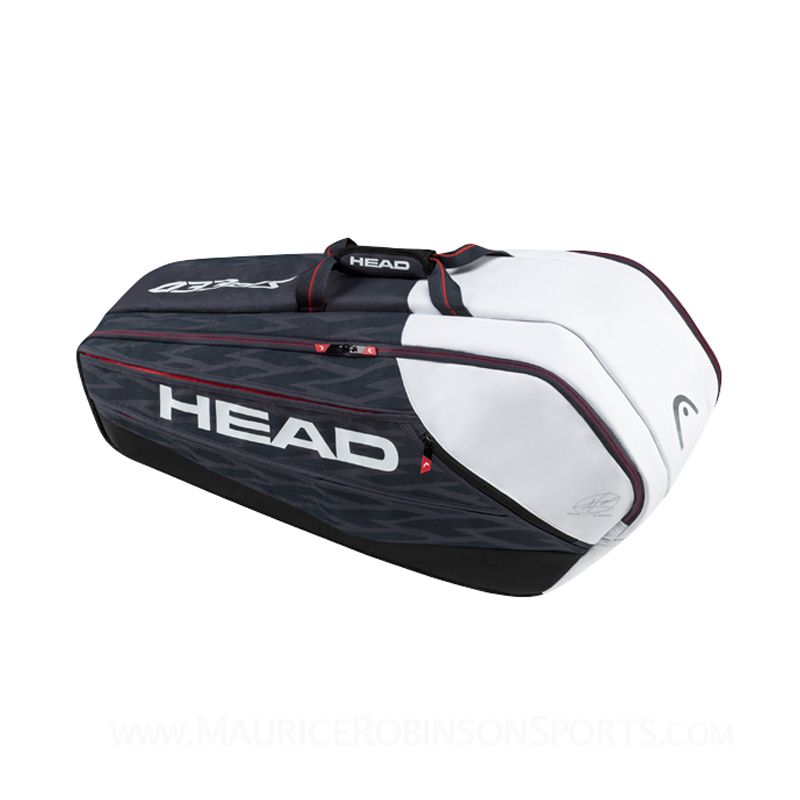 Do you own the Head Djokovic 9 Racket Supercombi Bag?